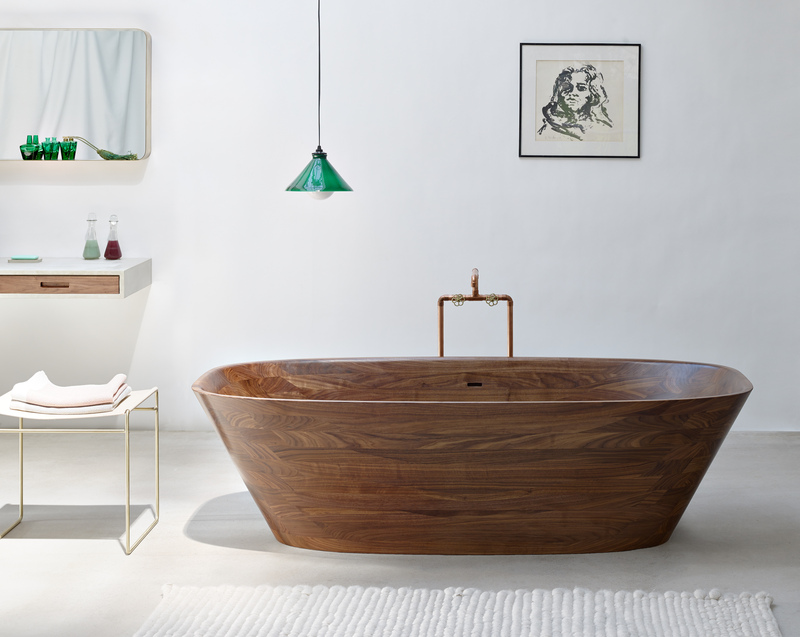 The Shell bathtub is made of genuine, hand-polished and oiled nut wood. It is carved from a solid block of aromatic woodnut using a precision CNC milling machine. The final form is refined, polished and oiled by hand several times. 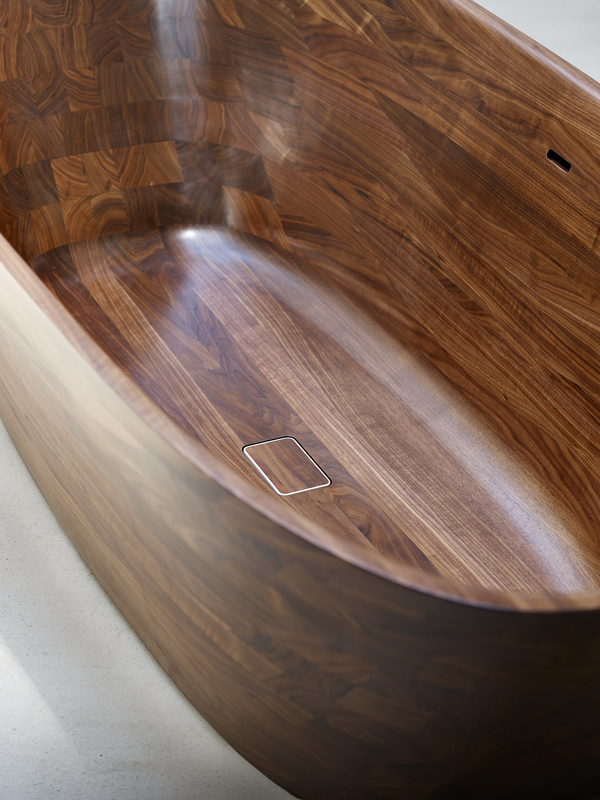 Thanks to extremely high precision and a great love of detail, this concept is at the edge of what is possible – a wooden bathtub cannot be made with any more care. 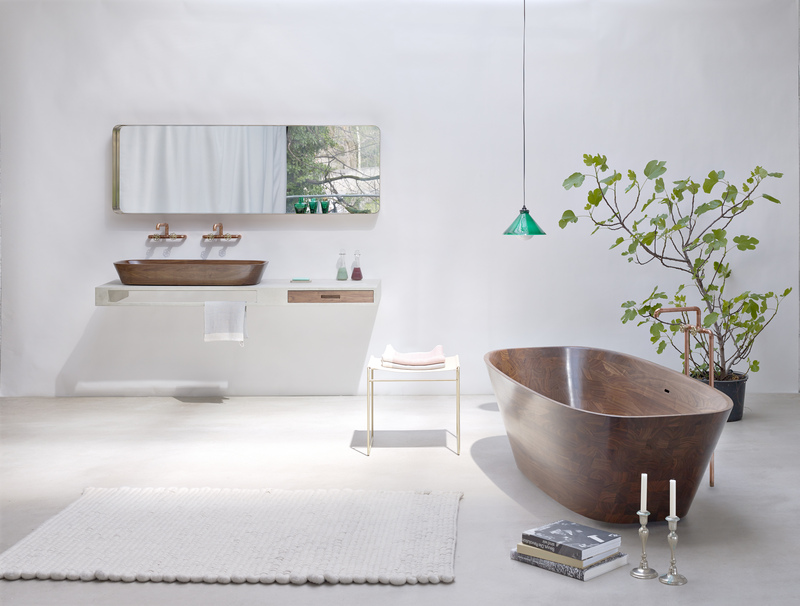 In a close cooperation with Forcher carpentry, Nina Mair developed the Shell bathtub and received the Interior Innovation Award 2015.